Today, advertising an event is as important as organizing and managing an event. The event organizers are actively looking for newer ways to promote their events. The traditional way of advertising was not effective as compared to recent trend. This gave away to the event directory websites, where event organizers can register and promote their events. And the users can find the events they can go to. And with time, such event portals have become the number one way to promote and find events. Creating such an event portal is one of the most profitable online directory businesses. In this article, I’ll show you how you can create profitable event listing website with the events directory software. It lets you quickly start a stunning WordPress event website within a small chunk of time. These are the elementary process which needs to complete before creating your own Eventum WordPress Directory. So let’s start with fundamental steps of creating and launching Eventum portal. Search for the domain name that suits your business function. Go to a registrar like GoDaddy, BlueHost. You will need either a Debit/credit card or a PayPal account to pay for the domain. Pay for it and the domain details will be sent to your through a mail. Now that we have the domain name ready, we shall move on to find a suitable server to host our website. A web host is basically when you place your web content on your host everyone in the world will be able to view your Event Directory WordPress site. You will need to register an account with a web host in order to host it, When you have an idea about your requirement, you can start searching for the Budget Web Hosting provider. Also check the reviews, reliability, consistency, uptime of hosting server and rating of that particular host on the internet. The choice you make will affect your site and the business associated with your site for years to come. If the directory’s servers frequently crash, your site will be offline very often. As the site which you are going create is not just a website. 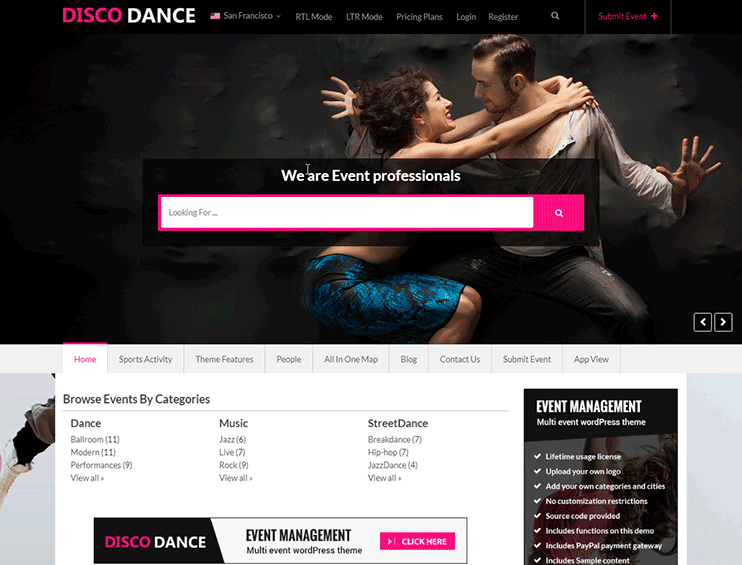 It is the events directory which is the central terminal of the event organizers, event promotors, mediators, other business associated with the event planning, operators, end users, and other visitors. 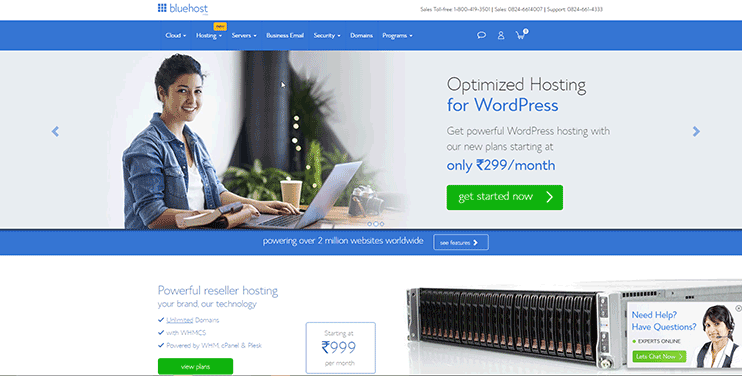 I recommend the Bluehost which is the best hosting provider for the WordPress site. Check for the web hosting packages among them the WordPress web hosting is the best suit for our Events Listing WP Directory. Purchase the hosting and point your domain to that account on hosting provider. There are lots of WP events themes available on the market. To create the best WordPress event directory with ticket sales and proximity search. We’ll use the Eventum WordPress template. You can download events directory script from here. 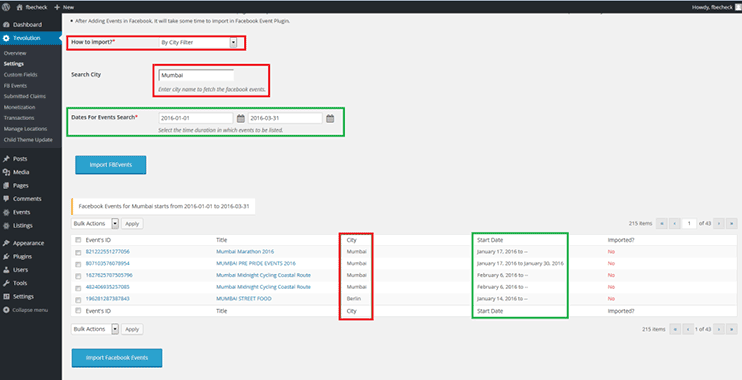 After downloading events directory script, Install it on your WordPress dashboard theme section. Activate and verify the theme license. Don’t miss importing the demo content. Once you import demo content, the site will exactly look alike Eventum WordPress template demo site. Now, You are ready, to begin with, your event’s website to give your own test. Make changes as per your choice. 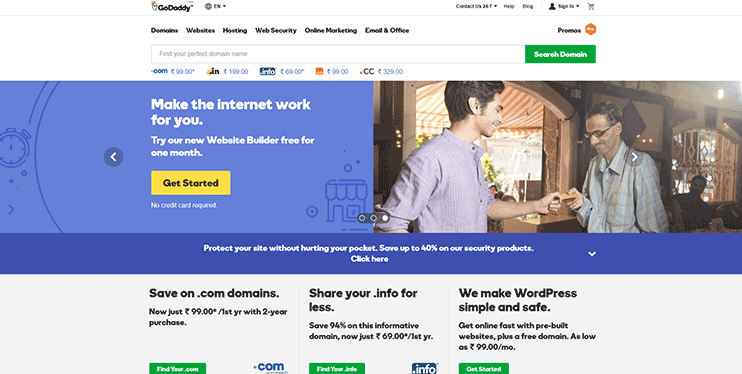 Alternately, you can opt for this self-hosted directory software solution to get your directory website ready and running in minutes. Creating a professional, attractive Event directory website is not a big deal. Thanks to Eventum Directory WP software, It helps to complete our 75% task in just a 30 minutes. Now what we need to do is to give it a touch of our imagination. Starting with primary customization like changing the logo, website color, and background. The logo reflects your brand and the color of your site reflect the personality of their Online Branding. The research said that the 60% of visitors attracts because of the website color. So use your wisdom to select the colors. 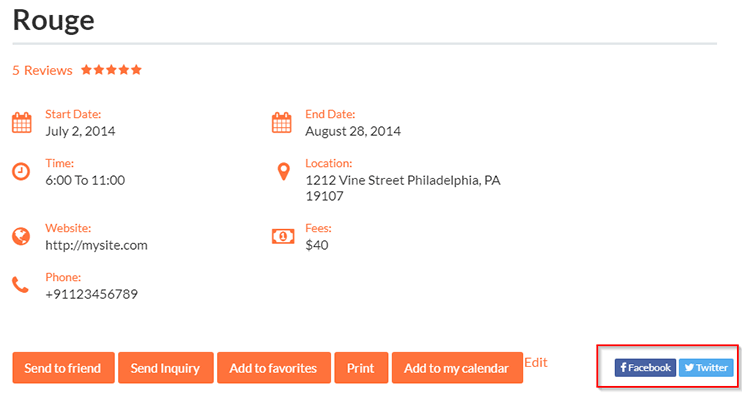 The Eventum theme is created with widgets, So you can customize it rapidly. You may change the front end look according to festive season or feature the important evens. If you have created the events listing website for specific niche you may give it a look as follow. The directory provides a way to end users to advertise their own events. The directory owner can make money as they facilitate the event organizers to advertise their events or sell their tickets through your website. First of all, define your criteria. 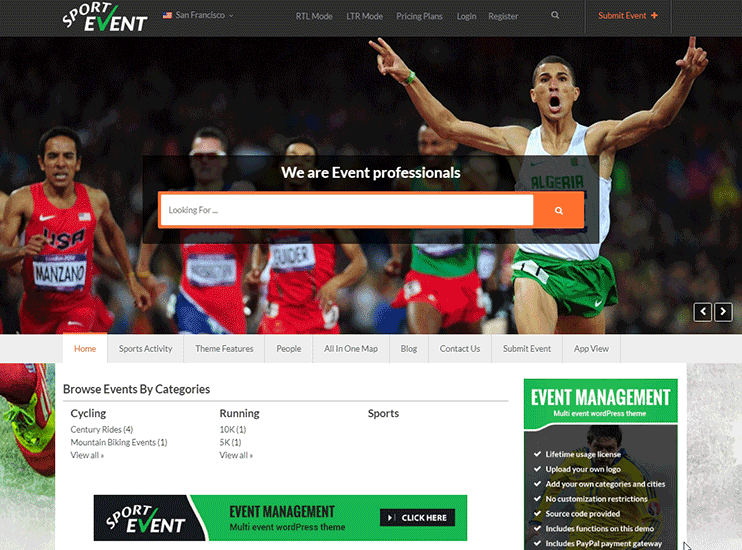 Add the categories for the events on your website. Display them on the menu so that it helps visitors find the events of their interest easily. The Eventum event directory template displays these categories on the event submission page as well. So when an event organizer tries to submit his listing through your website, he can choose the category for his listing. Additionally, The Eventum directory software lets you set a category price for submitting the events under different categories. Add Events listing in your Events directory script. There are two ways of adding a listing on Evemtum portal. Adding Events listing by admin from the dashboard. Event listing submitted by visitors from the front end. As discussed previously, The visitors can advertise their events on your site. Before submission events, it will display various price packages. Users can choose and list their event of your site for a specific period of time. Create packages with different facility according to price like how many listings are allowed, Categories allowed under the price package, Listing duration on the website. These packages will be displayed to the users when they try to submit the event so that they can choose the price package according to their need. At the beginning, to get more relevant data on your site I recommend to allow free event listing submission. As the time passes, the site will start generating traffic and there will be an enormous amount of event listings on your site. So over time, you can limit the event submission features for the free listing package. There are 15+ paid payment gateway add-ons for Directory are available. 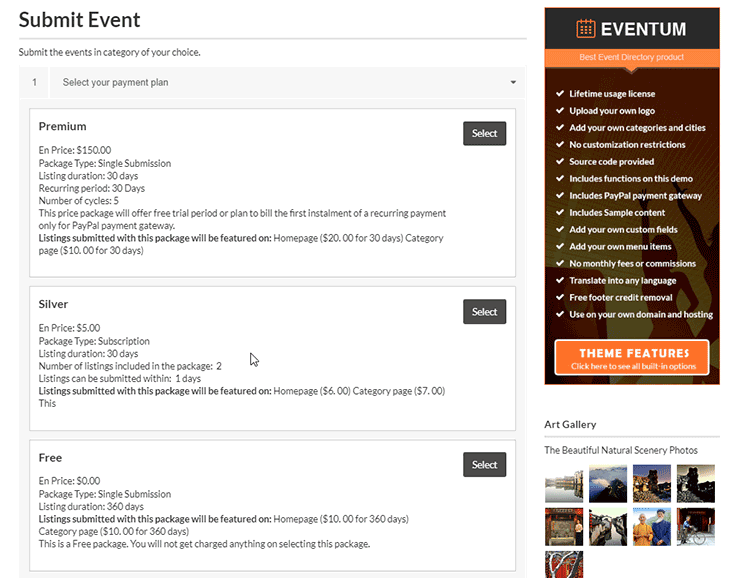 The payment gateways lets you smoothly accept payments for the events submitted on your site. Also if you are planning to make global directory, you can accept payment for listing submissions through the popular payment gateways in different countries. There are several ways to make money with the Events directory script. Let’s check some useful ways for making money from external sources. Once you create the events advertising site, you will try to find the way to get make more money using alternatives like displaying banner advertisements. The Eventum Directory template comes with widgets that can easily let you insert static advertisement code or the Google AdSense code on your website. The addon helps to sell your Event tickets online and earn money, furthermore, it allows your users to submit a ticket to your site. 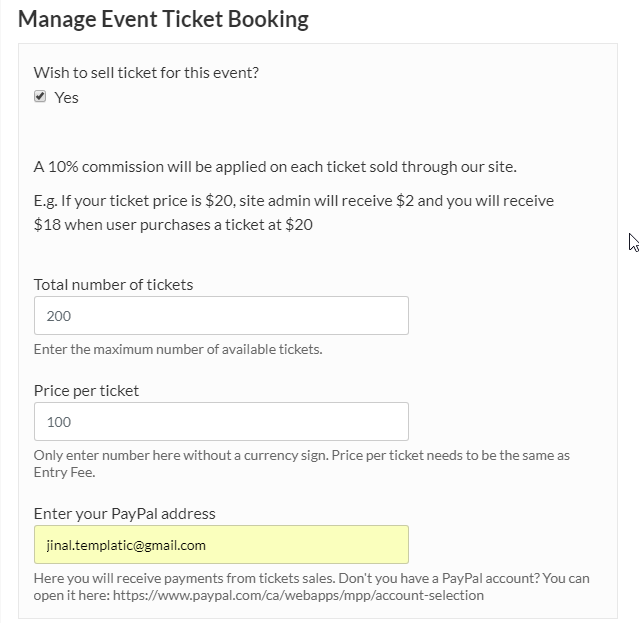 You can get a commission on selling the tickets for individual events. The Ticket Transaction Report will show you all the transaction log of the purchased ticket through the website. through this section, Admin has the option to see the transaction logs of tickets. The visitors can see the following button on events detail page from where they can buy the event’s ticket for particular events. Membership plugin lets you restrict the visibility of the content on your site. That access you can allow only the paid members. That way upi can make money. Using this addon, you can get control over fields your users allowed to submit as per the price package. Check here for more information on Field Monetization. You’re all set to create your Eventum directory WordPress website. But the promoting your site is the process to add soul to your dormant site. To get a good rank on search engine, add SEO plugins and follow the other steps of promoting your site. This plugin help to import Facebook events into your directory events portal. You can import published, public, facebook events to your directory site in a single click. This amazing plugin is configured and get you started on importing facebook events on your site. Facebook has been used globally to list many Events around the world. This plugin will allow you to Filter/Fetch events from Facebook.com you can import data according to their Occurrence, Scheduling, City and even by inserting their Id’s. This plugin therefore drastically reduces hours and days of the time of manually adding the same events on site. An additional advantage of using this plugin on your site is you can bring more traffic by adding multiple events on your site. Every Event sharing website incorporates sharing your events online. Depending on advertising and sharing of content requires, You can share it with your friends and connection by just button click on social networking site. Tactics of Traditional Marketing like direct mail marketing campaigns, press releases. Blogging is also an effective way. Free Tickets of the events. The following routines that you must follow for regular maintenance of your WordPress events directory script are as follow. These basic maintenance routines ensure that your website operates smoothly and efficiently. You can do it yourself or subscribe to some WordPress maintenance services. The Event Directory Software has the functionality to set the default submission as a Draft/Published, As we have set the default status for Free submissions as a Draft. The newly added events by end users will be in drafts. You need to verify each video and only publish it if you think it is appropriate. 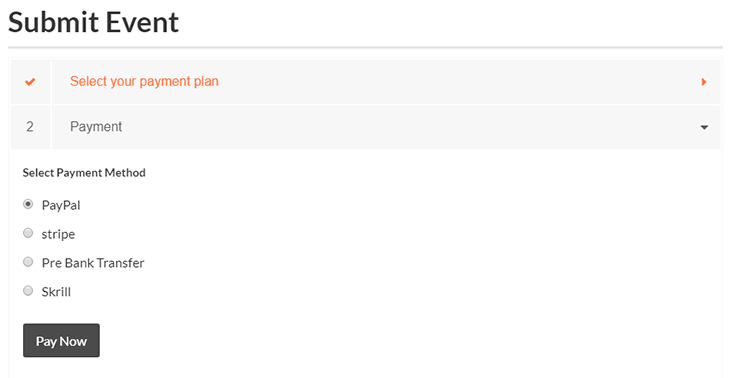 Furthermore, It has the option to set the paid events submission default status, which we have set as a Published. because there are less to no chances for the paid users to add false or irrelevant data. This way you can restrict the vulnerable content on your site and provide the end user with the useful and relevant content they are looking for. If there are lots of events on your site, but that are outdated. Which are neither recurring no longer available, you can remove from your site. Don’t worry you don’t need to find each and individual events by checking its occurrence. You can do it with a single click. 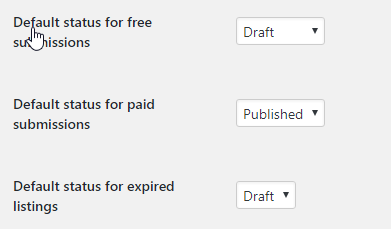 by setting the default status for expired event listing as a draft or you can directly trash the expired events. You can also send the reminder to event owner. It will send an email to the user whos events listing expires. So if they wish to renew or change the date the follow up may helpful. The Events directory script has the blogging functionality. Blogs on your website give you the opportunity to create and publish the relevant content for site visitors. Furthermore, you can use this as a marketing tactic to drive more traffic to your website. It improves Website’s SEO Increase Traffic via inbound links. This way your an give your social followers a reason to click through to your website. Creating Events Directory website using Eventum WordPress Directory Software which makes your site stand out from the crowd. Which providing an event listing facility to end users and useful update about events along with required information to visitors.